John Myers, Executive Director of Indian Creek Nature Center, has been named to Midwest Energy News’ annual 40 Under 40 list, selected from over 200 nominees. 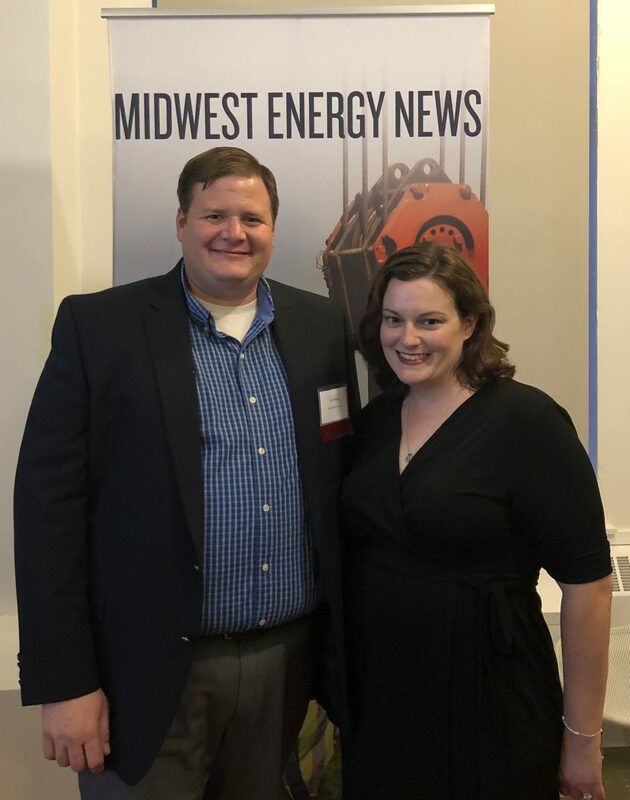 This awards program highlights emerging leaders throughout the Midwest region and their work in America’s transition to a clean energy economy. John leads strategic planning and growth to ensure the organization achieves its vision to create Champions of Nature. He led the building of the 12,000 sq. ft. certified net-zero energy and soon-to-be zero water Amazing Space facility, through the Living Building Challenge, the most rigorous and transparent green building standard ever. Amazing Space, which opened to the public is 2016, produced 135 MWh of electricity in its first year of operation and consumed only 110 MWh. A key partner in achieving net zero energy is Alliant Energy. John worked extensively with Alliant Energy to develop and implement the solar learning lab at the Nature Center to promote and enhance the research and development surrounding solar energy. John joins honorees from a diverse group of private, government and nonprofit entities including Clean Energy Trust, NRDC, Organic Valley, Sierra Club, and Environmental Defense Fund. A full list of honorees and their bios is available here. Recipients were honored at a networking reception in Chicago on September 17 as part of the Coalition: Energy in Chicago event. Maple Syrup ON SALE now!